It is mid-summer, and Italians can be forgiven for turning their attention away from politics, if only briefly. To what? Here’s the surprise: to their animals. It is a commonplace that until now Italians have not been considered great animal lovers. “Why, we don’t even have a word in Italian for pets!” our dog-loving Italian friend, a former diplomat, protested the other day, as he walked his beloved dog. If not, they have pets, and how. ROME –Italian politics are in a holding pattern just now. Decisions over the future of a redimensioned Senate and a redesigned election law are both due shortly, but are not yet on the board. Former Premier Silvio Berlusconi is slipping into ever deeper legal waters over his past involvement with a l7-year-old legal minor nicknamed Ruby Rubacuore (Heart Stealer); at risk is his confinement to house arrest. In a Palermo courthouse the judges are sorting through allegations that the Mafia negotiated with individuals representing the Italian state, but have yet to make a pronouncement. The traditional explanation was that in the Fifties over 40% of families were occupied in agriculture, and animals were part of their working, not their social life. By 1971 that figure had already shrunk to l7%. Since the year 2000 the agricultural sector employs fewer than 1.4 million, or under 5% of the working population. 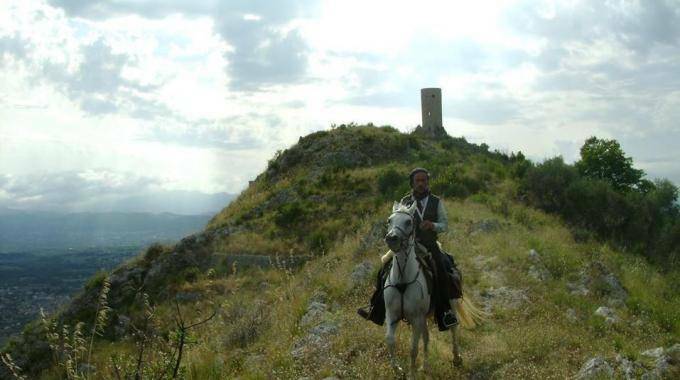 Then there are the horseback explorers of ancient Italian roads, whose pioneer as president of Archeologia a Cavallo (archaeology on horseback) has been Luigi Triossi, now 82. “When we explored the Appian Way from Rome all the way to the South, there were little towns where the children were let out of school to see us ride past,” he recalled. Last summer Triossi and a couple dozen of his fellows from the Italian Equestrian Tourism Federation (Fitetrec) and the sports association Associazione Sportiva e Centro Ippico rode the Saint Thomas Way – the Camino di San Tommaso – for 200 miles, from Ortona, near Chieti in the Abruzzo, all the way to St. Peter’s Basilica. The reputed remains of the Apostle Thomas have been kept since 1258 in the Ortona Cathedral. In the seaside town of Marino near Rome the local court called a TAR has just ruled that the beach managers had left too little space for dogs, and that the township must create no less than twenty free waterfront dog parks. Because dogs are not allowed for regions of hygiene on beaches, by law, from May through September, a 2006 regional law obliges all towns in Lazio to locate special beach space where dogs can run. They’re being called, half in English, “bau beaches,” as in bow-wow. In our own little village of Trevignano, pop. 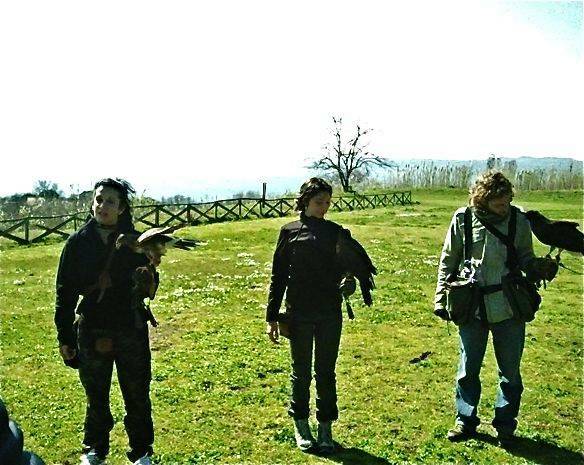 6,000, on Lake Bracciano 30 miles north of Rome the celebrated actor Franca Valeri has loaned her name, and in her home kennel space as well, to a society for the protection of animals. Now 93 with her next birthday at the end of this month, she told an Italian interviewer that she has no plans to give up her stage appearances. 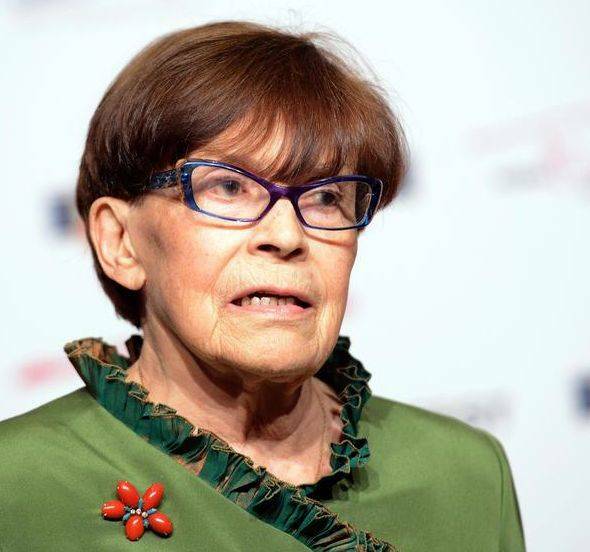 Often writing her own scripts, she also worked in TV and cinema with Toto’, Alberto Sordi, Nino Manfredi and Sofia Loren. 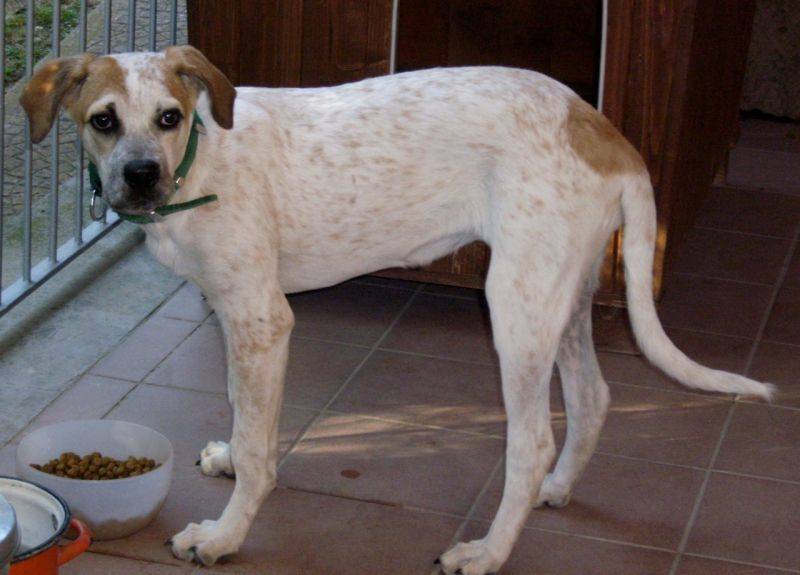 The animal protection society bearing her name has found and cared for many hundreds of abandoned dogs; among them was our own 3-year-old more-or-less pointer Bella, who came under the society’s protection after she was abandoned at four months, without a collar, on the Autostrada del Sole (A1). In February Valeri appeared as a special guest at the San Remo Festival of pop music. On the (potentially) volcanic Rocca Romana, Trevignano also has a popular Centro Volo Rapaci, where visitors can watch falcons and hawks at work. Indeed, taking the train that connects the lake to downtown Rome, I noticed a man with a small cage. Thinking inside was a kitten, I approached, only to be warned that it was not: it was a falcon. “Don’t put your fingers near,” he warned me. A website gives dates and times when visitors can walk in the woods accompanied by the falcons, hawks and owls belonging to the association (see: www.volorapaci.com). The visits are popular with youngsters at birthday parties. 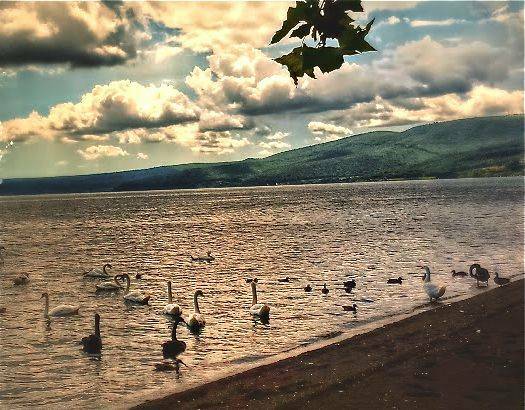 Not least, Lake Bracciano is now home to several dozen white and five black swans who seem to have escaped from over the fence of a public or private zoo; originally from the Far East, the black swans have slimmer bodies than the white, and fly far. Children (and not only) flock to the lava-pebble lake beach with bits of stale bread to feed the swan flocks, now joined by ducks and even the odd goose. And on the sidewalks is an endless stream of pet dogs. The word for “pet” may still be lacking, but the pets themselves are now everywhere.